CCP Seagull here. 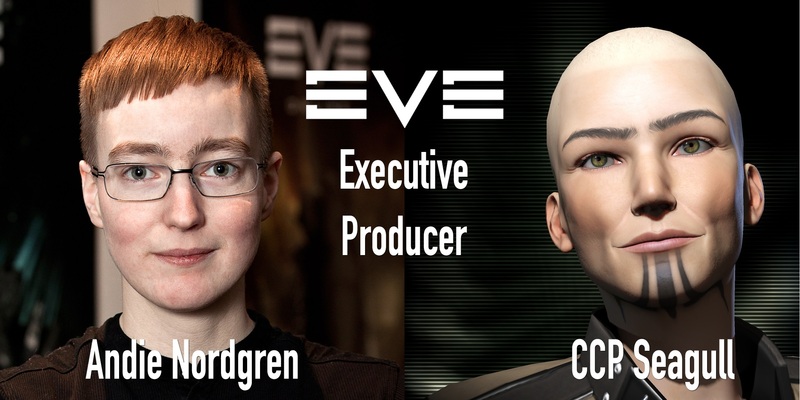 Today I am humbled and excited to tell you that I am taking on the job of Executive Producer for EVE Online. This means that my responsibilities have extended from navigating CCP’s development efforts to encompass the whole EVE project - the full overall direction. For you as a player, that means that our vision and long term plans for EVE will continue to have full support and that we will develop EVE Online with both new ambition and respect for the core philosophy and designs of the game. If you want to understand some of the foundations of how we will do that, I recommend to go back to the dev blog I wrote when becoming Senior Producer. Apart from the change in how we create releases, the direction outlined there is what we are still working from. I also recommend a look at my presentation from EVE Fanfest this year if you want to recap our direction and plans! Now that Crius is live, we have 4 more releases to go this year - Hyperion on August 26th, Oceanus on September 30th, Phoebe on November 4th and Rhea on December 9th. We will use these releases to the fullest to make EVE an exciting place. We will make changes to nullsec, add new ships, balance and revamp ships, modules and structures, add new missions and new kinds of dynamic content, add new invention gameplay and continue to improve industry. We will take the next steps towards our vision of player built stargates and, behind the scenes, we will start work on next generation structures and big changes to corporations and alliances. You'll of course hear more about all of these things as we start making forum feedback threads, posting dev blogs, and announcing features when we know they are greenlit for development and release. I promise you even earlier dialogue about many of them as well, since our work with the CSM and your feedback has been an invaluable part of our development process. Do you have questions about me, about EVE Online or about what the Executive Producer job means? Head over to Reddit and ask! EVE Online is a challenging game where player initiatives and actions rule like in no other game. Let’s keep showing the rest of gaming who we are as a community, what sets EVE apart, and what amazing things happen every day in the world’s largest living work of science fiction. See you in space, although you won’t know it’s me!